Huawei Enterprise manages and supports the marketing, sales, and services of products and solutions specifically designed for enterprises and industry customers. On October 4, 2018, the Wi-Fi Alliance officially announced the new name of the next-generation Wi-Fi technology 802.11ax — Wi-Fi 6. Compared with previous generations of Wi-Fi standards, Wi-Fi 6 supports 8x8 UL and DL Multi-User Multiple Input Multiple Output (MU-MIMO) transmission, higher-order 1024-Quadrature Amplitude Modulation (1024-QAM), Orthogonal Frequency-Division Multiple Access (OFDMA), and spatial reuse through Basic Service Set (BSS) coloring. These new technologies enable Wi-Fi 6 to greatly improve the per-Access Point (AP) capacity and per-user bandwidth than Wi-Fi 5. Theoretically, the number of Wi-Fi 6 terminals and average throughput supported by a Wi-Fi 6 AP are both increased by four times. The Wi-Fi 6 network significantly reduces the waiting time caused by air interface conflicts, ensuring a good Wi-Fi service experience. Huawei AP7060DN is a next-generation Wi-Fi 6 AP launched in 2018 and is also the first commercial Wi-Fi 6 AP product in the industry. With built-in omnidirectional antennas, the AP7060DN supports 12 spatial streams and provides an air interface rate of up to 6 Gbit/s. Such a high rate perfectly meets high-bandwidth and low-latency requirements for Virtual Reality/Augmented Reality (VR/AR), 4K/8K HD video, multimedia, and desktop cloud applications. Additionally, the AP7060DN allows for expansion of the Internet of Things (IoT) and is compatible with various IoT standards and protocols (such as Bluetooth, Zigbee, and RFID), implementing unified wireless access of the IoT and Wi-Fi networks. With its 10GE uplink ports, the AP7060DN can easily eliminate bottlenecks in the upstream bandwidth, and therefore is ideal for enterprise office and education scenarios. In January 2019, Tolly Group, an international authoritative provider of testing and validation, tested the performance of Huawei’s Wi-Fi 6 AP7060DN. 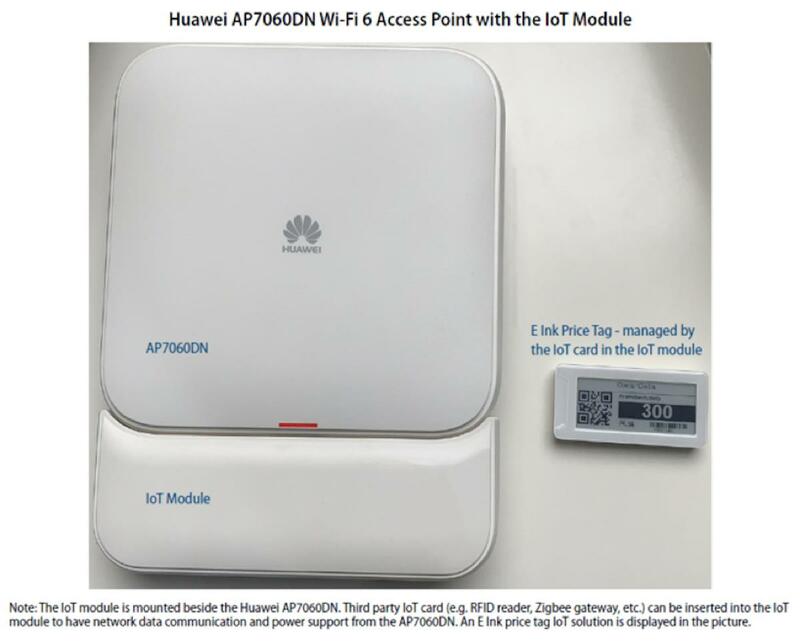 Huawei wants Tolly to validate and test the AP7060DN bandwidth, number of concurrent connections, compatibility with Wi-Fi 5, Wi-Fi 4, and earlier 802.11b/a/g networks, and IoT access capability. When the AP7060DN works in single-5G mode (common in the industry), the throughput can reach 3 Gbit/s. The AP7060DN supports a maximum of 512 users on a single radio and a maximum of 1,024 users on the entire device. The AP7060DN is fully compatible with Wi-Fi 5 and earlier Wi-Fi terminals (Wi-Fi 6 terminals are not widely applied in the current market). The AP7060DN supports the IoT expansion access capability and can implement one-stop access of RFID, BLE 5.0, and Zigbee terminals. The Wi-Fi network plays an integral role in enterprise digital transformation. Through the Wi-Fi network, enterprise employees can implement collaborative mobile office, teachers and students can conveniently obtain online learning resources, and people can easily enjoy online office and entertainment in stadiums and departure lounges. With the development of HD 4K video and VR/AR services, people have increasing requirements for bandwidth. The throughput of a single AP becomes an important indicator for measuring network quality. The expert team at Tolly used the professional third-party tester Spirent TestCenter C50*1to test the AP7060DN. The negotiated rate of the AP7060DN reached the theoretical value 4.8 Gbit/s. When traffic was sent using the tester, the throughput of the AP reached 3 Gbit/s, which is about four times higher than that of a Wi-Fi 5 AP in the industry. Therefore, the AP7060DN is well-suited to support bandwidth-intensive services in enterprises. *1: The Spirent TestCenter C50 is applicable to testing the functions and performance of APs and Wi-Fi 6 (802.11ax). This tester supports 8 x 8 MIMO, MCS10/11, OFDMA, and MU-MIMO. Until now, Wi-Fi 6 terminals have not been widely applied. 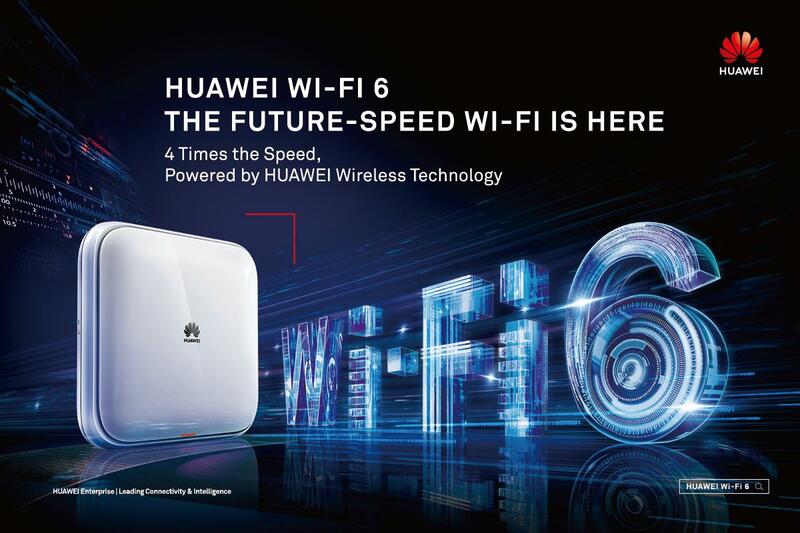 In the next two to three years, Wi-Fi 4 or 5 terminals and Wi-Fi 6 terminals will coexist for a period of time according to the Unleashing the Power of Wi-Fi, Enterprise-Grade Wi-Fi 6 Forecast 2019-2023released by Huawei. When enterprise users deploy networks, the terminal compatibility is a factor to be considered. 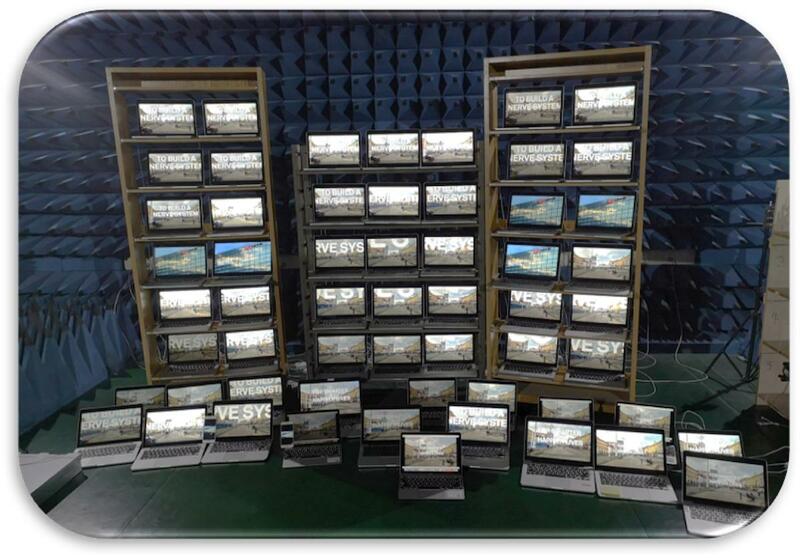 The Tolly test team has performed compatibility tests on mainstream Wi-Fi 5, Wi-Fi 4, and 802.11b/a/g terminals. The test results show that the Huawei Wi-Fi 6 AP7060DN is compatible with all of the tested terminals, allowing enterprises to develop their services and better plan future network deployment. In mobile office scenarios, users frequently move, and more and more IoT terminals are deployed. Each single AP faces much heavier utilization. The Wi-Fi 6 standard has many technical considerations for future dense deployment scenarios. For example, Wi-Fi 6 introduces a better scheduling technology for improving the coverage and reducing air interface congestion to bring users an optimal experience. Consistent and reliable data throughput is provided for more users, especially in a densely populated environment. In the tests conducted by Tolly’s expert team, 1,024 users were successfully connected to an AP7060DN, proving that the AP7060DN has the largest access capacity in the industry. In high-density scenarios, Wi-Fi 6 APs allow enterprises to deploy fewer devices than before without compromising the user experience, saving on enterprise investments. An era of connectivity of everything is fast approaching. It is predicted that the number of connected devices will reach 100 billion by 2025. The Wi-Fi 6 network features high capacity, large bandwidth, secure transmission in the LAN, and low latency. Therefore, it makes good business sense to deploy a Wi-Fi 6 network to handle the IoT data of enterprises. Huawei AP7060DN supports external IoT modules for expansion of diversified IoT applications through Bluetooth, RFID, and Zigbee, such as Electronic Shelf Labels (ESLs) and asset management. The Wi-Fi and IoT networks are therefore converged into one, reducing investments and network deployment time for enterprises while improving efficiency. To obtain the Tolly test report, click this link.